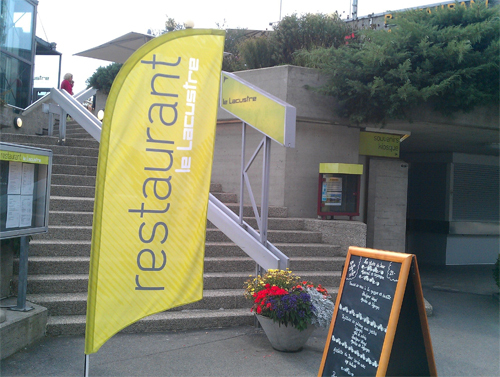 Le Lacustre Restaurant is located on Quai Jean-Pascal Delamuraz in Lausanne, Switzerland. 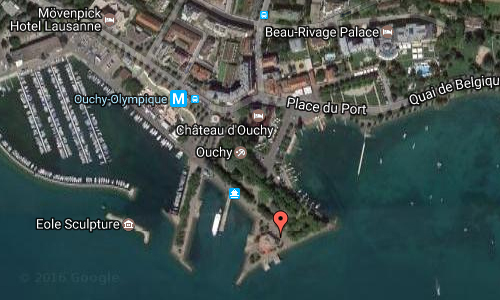 Ouchy is a port, and popular lakeside resort located south of the city of Lausanne in Switzerland at the edge of Lake Geneva. 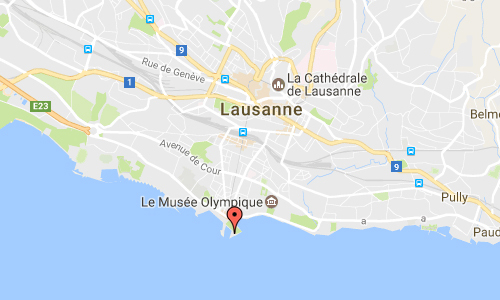 Le Lacustre in Lausanne is a restaurant that offers a Swiss brasserie cuisine, specializing in the grills and fish of Lake Geneva, that you can fully admire the restaurant located on the quays of Ouchy. Whether it is the large modern terrace or the design interior room with large bay windows, the restaurant always enjoy the incredible view of the lake and the Alps. Among the gourmet dishes on the Lacustre menu, which are passengers’ regular customers, are the charbonnade and the gallows of the Lacustre. These are enjoyed in the Grill Room, where the restaurant staff cooks the meat under the eyes of the guests. This spectacle is not to be missed, especially for the gallows which consists of flambéing beef. The Lacustre wine list in Lausanne has the advantage of being explained in detail to guide the novice among this wide selection of Swiss and French wines. All the spaces of the Lacustre can be arranged for private or professional celebrations. From the sublime terrace with panoramic view, one imagines a lady in high waist bikini sipping a Martini on the deck of a sailboat, posing facing the lens of Slim Aarons. The Hamptons? 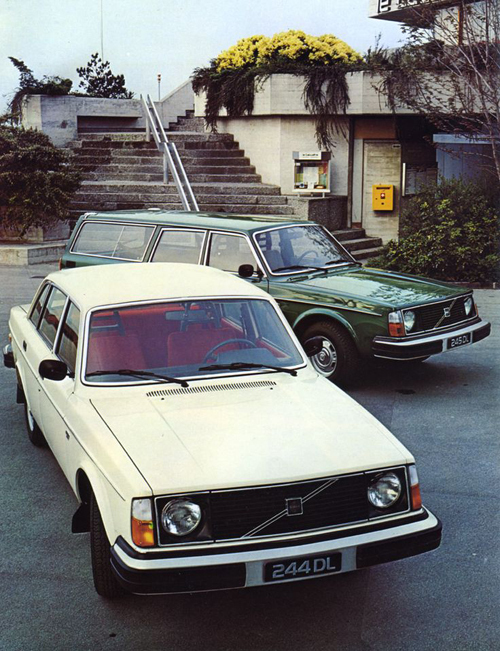 Saint Tropez? No, Ouchy! 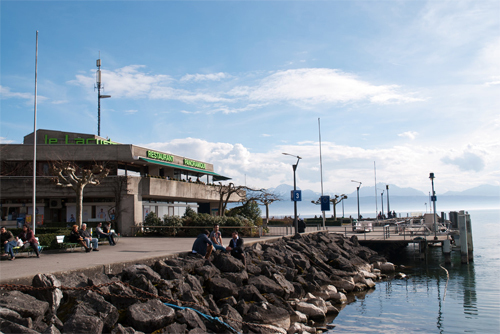 Hidden from traffic and hordes of passers-by – recently armed with smartphones in search of Pokémon – The Lacustre, almost as old as Lake Geneva, has reigned for many years on its landing stage, unperturbed. Big block of concrete with charm a little obsolete, very prized of the tourists coming down from the CGN, one went there to eat of the charcoal and cuts Denmark with grandpa. And for the extraordinary view of the lake and France. Closed for more than six months, here he reopens with discretion. The old regulars scream at the scandal, the change is indeed radical. If the big kitsch swan above, he still welcomes at the entrance of the restaurant, the decor has changed from old-fashioned to vintage: suspended loupiotes, American style diner benches, original tiling, delightfully seventies wallpaper. The new tenants of the Lausanne seraglio went to hunt pieces from the time when the building was built (in the early 1960s), destroyed false ceilings and installed a wood-burning oven. Their ambition is to succeed in making pizzas like in Italy, and to reconquer the Lausanne clientele sometimes chilly to make a few minutes of subway to reach the banks of the lake. The menu, minimalist for the time, proposes pizzas, salad and pasta. We taste everything: it’s delicious. The ice creams are artisanal, the féra leaves straight from the lake. The official inauguration is planned for the end of the summer, the decoration will continue to evolve and we are promised brunches on weekends and a kitchen changing with the seasons. In the evening, the staff have fun playing Italian pop discs, which are a bit ashamed to love. And we are surprised to order another Old Fashioned by singing Adriano Celentano against the waves of Lake Geneva, while the Summer Triangle caresses us with its sparkling light. More information at en.wikipedia.org and www.letemps.ch.